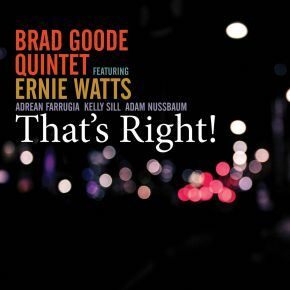 First sharing a stage in the early 2010's, the virtuostic trumpeter Brad Goode and legendary saxophonist Ernie Watts met and instantly realized their incredible musical rapport. Since that day, they have been touring together and exciting audiences with their high energy, tight-rope style improvisations. “That’s Right” is their first recording together, featuring a set of modern originals, along with arrangements of "Blues in the Night," "I Want to Talk About You," and "Jug Ain't Gone," from one of Goode's early mentors, the late Chicago saxophonist Von Freeman. 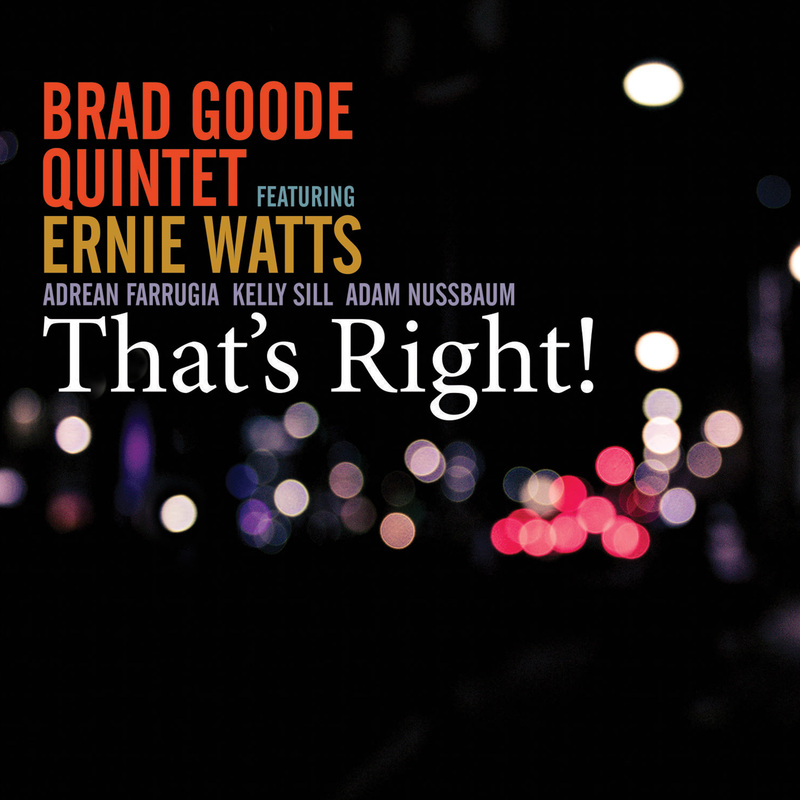 With the explosive Adam Nussbaum on drums, Chicago bassist Kelly Sill and the inventive Canadian pianist Adrean Farrugia, Goode and Watts create musical fire, and have a lot of fun doing it!